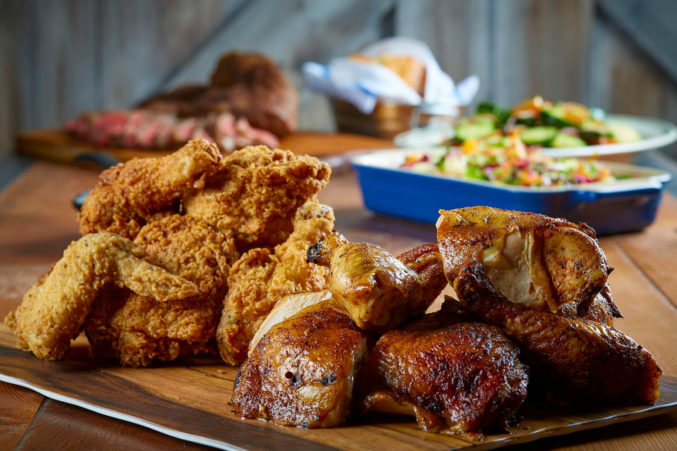 Prohibition Chicken’s menu is simple: choose a style for your half chicken (crispy-fried, pecan-smoked, and more) and choose four accompaniments, such as coleslaw, potato salad, or macaroni and cheese. Add-ons like biscuits and salad are extra, but generous portions of “sops,” or barbecue sauces, are on the house. Craft cocktails, with ingredients like Prohibition Chicken’s own barrel-aged Patrón, echo the speakeasy vibe.